*Source: Dewberry Redpoint survey, commissioned by Hellmann’s, n=245 pubs/restaurants that serve burgers. 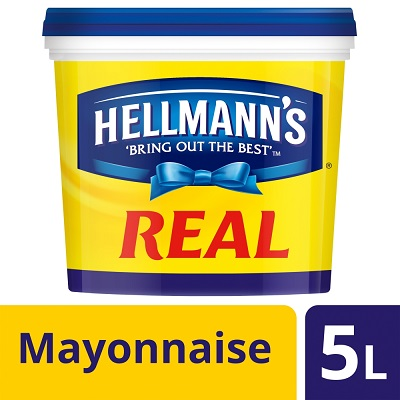 Hellmann’s Real Mayonnaise 5L is thick and creamy. The unmistakeable taste of Hellmann's Real Mayonnaise makes it the perfect complement to all types of food.